Ingredients: Including proper ingredients is important, but just as important are quality, proportion, and consistency. Lower-quality ingredients do not provide the same nutritional benefit—just as eating a baked potato is nutritionally different from eating potato chips. As with any recipe, ingredients need to be in the correct proportion with other ingredients. Adding too much or too little of one ingredient will change the taste and the nutritional content of any recipe. Substitutions for missing ingredients are usually harmless when cooking for humans; however, they can seriously imbalance a pet food that is designed to meet a pet’s entire nutritional needs. Proper preparation, cooking, and preservation procedures are also essential not only to reduce the risk of food-borne illnesses, but also to maintain optimal nutrient levels. Vegetarian diets: Dogs thrive on a diet with both animal and plant products (omnivore). Although adult dogs may ‘get by’ when fed a vegetarian diet, they do best when fed a meat-based diet. Raw diets: The recent fad of feeding raw meat diets to pets originated in the belief that the wild ancestors of domestic dogs and cats hunted and consumed raw meat. But it has its own risks. Nutritional risks: Although high in protein, a diet that is comprised primarily of raw muscle meat will be deficient in several essential nutrients and does not provide balanced and complete nutrition to dogs and cats. Health risks: Pets are at risk for bacterial and parasitic infections when fed raw meat from any source. Most of these bacterial infections, such as Salmonella, E. coli, and Listeria are also transmissible to humans. An additional health risk is the danger of intestinal obstruction or perforation from the consumption of bones or bonechips. Supplementing with human food: Many pet parents add human foods to their pet’s diet because they enjoy giving something extra or because they believe that the supplement is necessary for their pet’s health. However, supplementing a balanced diet with human food unbalances the food and promotes obesity, which can lead to health problems. Thus, to ensure your pet is receiving a diet that primarily meets all her nutritional needs, feed a commercially prepared diet. Your dog may live a long and healthy life, and never experience any health problems. However, it’s still a good idea to familiarize yourself with the more common canine health concerns so that if he should develop a problem, you will know what to do. Here’s a rundown of some of the most common complaints your dog may face, and what you can do about them. Allergies: Dogs can be allergic to a variety of things including grass, flea bites and, less commonly, food. Allergies in dogs usually cause skin problems – although food allergies can cause vomiting and diarrhoea. If you see your dog scratching, licking, and biting himself, take him to your vet to diagnose the problem. Your vet can recommend treatment products and procedures, and you may also need to keep your dog away from allergy-causing substances. 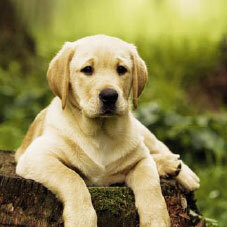 Diarrhoea: There are two types of diarrhoea that dogs experience: acute and chronic. Acute diarrhoea strikes suddenly and doesn’t last long. It is often caused by food allergies, infection, or if your dog eats food from the garbage can. Acute diarrhoea can be managed without too much trouble. However, with diarrhoea, there is always a risk of dehydration, so you will have to ensure that your dog takes in enough water, even if he’s not eating. A day of fasting, followed by a special, bland diet should restore his health. Call your vet if the diarrhoea continues, or if your dog has a fever, abdominal pain, starts vomiting or seems depressed. Chronic diarrhoea is a longer-term problem that is often caused by an illness such as Colitis or pancreatic problems. Your vet will need to diagnose the problem and direct the treatment. Ear problems: Ear mites are parasites that live in the ear canals of dogs and they can cause a bacterial infection or inflammation. If your dog has ear mites, he may excessively shake or tilt his head. Your vet can easily diagnose ear mites – they leave behind a distinctive brown discharge – and prescribe anti-mite eardrops. You will have to administer the drops at home for four-to-six weeks. It takes some persistence to get rid of these parasites. Ear infections are also common in dogs, especially dogs with floppy ears. If your dog has an ear infection, he may scratch his ears or shake his head. Treatment consists of a visit to your vet, who will clean out his ears with a special solution, and may prescribe antibiotics. Fleas: Fleas can cause a range of health problems in both dogs and humans. They are difficult to spot and are usually diagnosed by the presence of flea dirt – black flakes or specks. Your dog may scratch and bite himself if he has fleas. However, even if he doesn’t scratch, the presence of fleas should still be of concern. To rid your dog of fleas, treatment will consist of a flea control program that includes treating his environment -your vet can recommend the appropriate flea control program. Obesity: Excess weight creates a high risk for medical problems and can shorten a dog’s life. Obesity is probably the most common nutritional disease among adult dogs. It is estimated that 40% are overweight. A quick way to tell if your dog is overweight is to feel his ribs with the flat of your hand. If you can only feel the ribs with difficulty, your dog probably needs to lose weight. Occasionally, underlying health problems can make a dog overweight. But overfeeding and under exercising are much more common causes of excess weight. If your dog is overweight, take him to the vet to rule out any medical problems. Your vet will set a target weight for your dog and select a proper diet. You will also need to give your dog regular exercise. Worms: They are a common problem for dogs and must be controlled for his safety and yours. The most common worms are roundworms, hookworms, whipworms, and tapeworms. Although they may not seem to cause your dog problems, worms can stress his immune system, cause diarrhoea and vomiting, and, in rare cases, spread to people. A preventive program of regular worming should be a part of your dog’s health routine. The good news is that there are more ways than ever to eliminate worms and other internal parasites, and your vet is your best resource for treatment. A thorough worming program includes flea control because fleas may carry tapeworm eggs. Some heartworm medications also prevent intestinal parasites. Don’t be overwhelmed by all of this information on common health concerns in dogs. Your dog may never experience any of these conditions – and he certainly won’t experience them all at once. However, if you are prepared, you will be better able to give your dog the care and attention he will need. After all, he deserves your help in achieving the best health possible because of all the warmth and companionship he brings to your life. And if your dog is healthier and happier, both of you will have more time together – and that makes it all worthwhile!